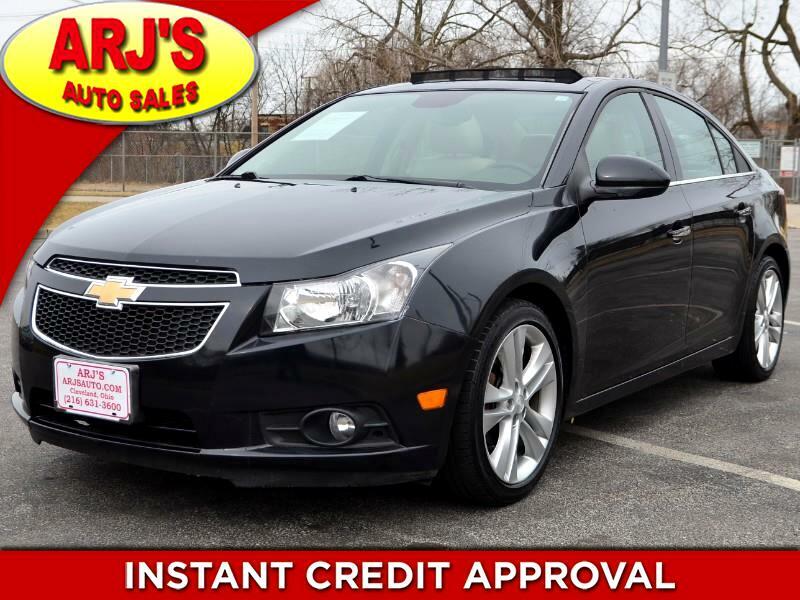 ARJ'S AUTO SALES IS PROUD TO PRESENT THIS CLEAN CARFAX 2013 CHEVY CRUZE LTZ! WELL MAINTAINED WITH 25 SERVICE RECORDS. A CHARCOAL METALLIC EXTERIOR OPENS TO A WELL EQUIPPED TAN LEATHER INTERIOR WITH CHOCOLATE COLORED ACCENTS. SET UP WITH A MOONROOF, REAR CAMERA, HEATED LEATHER, POWER WINDOWS, LOCKS AND MIRRORS, BLUETOOTH, CRUISE, CD STEREO, KEYLESS ENTRY, STEREO CONTROLS ON THE STEERING WHEEL AND A/C. ALLOY WHEELS HAVE TIRES WITH GOOD TREAD ON THEM AND A PUNCHY BUT EFFICIENT 1.4L TURBO 4CYL ARE READY FOR YOU.